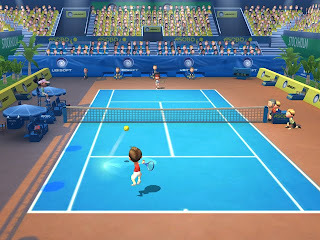 "Racquet Sports" players can practice their swing during a tennis match. Congrats to Jon Weisman, who won the Ubisoft "Racquet Sports" game for the Wii! 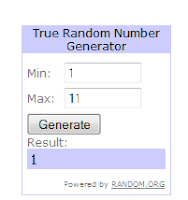 Although I picked the winner via the Random.org number generator (right), I have to say I'm happy to send the game to Jon, who btw blogs at ESPN LA's Dodger Thoughts. Not only did his wife, Dana, also enter the giveaway, but this will be a great addition to his son's new birthday Wii. Please email me at losangelesstory@gmail.com to let me know where to send the game! 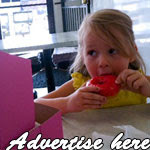 Coming Attraction: Savor Los Angeles -- Sweets! 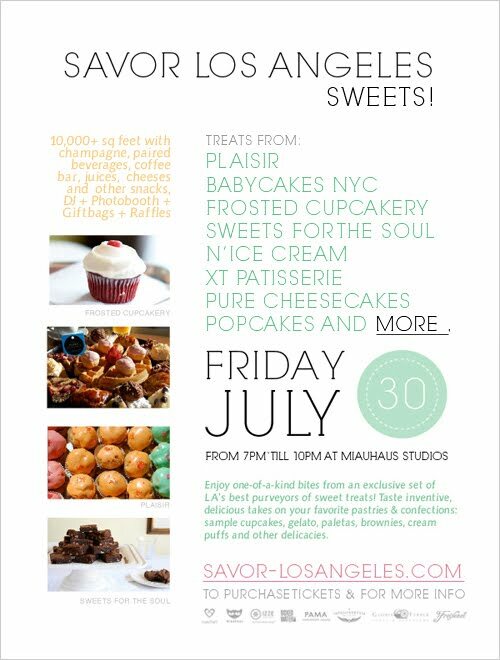 Savor Los Angeles -- Sweets!, an event introduced and presented by creative collective Parallel Lines, will be offering a bevy of sweet nothings to Angelenos on Friday, July 30, at Miauhaus Studios. Yes, that's tomorrow, and my sweet tooth is already tingling! Chefs and other foodies from dessert-friendly Los Angeles establishments including Plaisir, Babycakes NYC and N'Ice Cream will be on hand to present samples of cupcakes, cookies, ice cream, cheesecake and more. Also in the Miauhaus will be Intelligentsia coffees, complimentary Champers, juice, raffles, a photo booth and gift bags. What's especially great about this sweet event -- as if all of this sugar shock weren't awesome enough already -- is that child-friendly organization CoachArt will be participating as well. Tickets for Savor Los Angeles -- Sweets! are still available at $35 for general admission and $55 for VIP treatment. Savor Los Angeles -- Sweets! Friday, July 30; 7 p.m.-10 p.m.
After catching a sneak peek of "The Jensen Project," which aired on NBC July 17, I was more than happy to check out the recently released DVD and CD soundtrack combo. Having talked to "Jensen Project" star (and L.A. mom) Kellie Martin at the event and later over coffee, I was eager to see the extras. From what she said, it sounded like a really fun shoot. If you didn't get a chance to see it, this family-friendly movie, directed by Douglas Barr ("The Fall Guy"), centers on a family of geniuses who must put their everyday (and uninspiring) lives on hold while they try to keep a potentially dangerous technology out of the wrong hands. It's a fun movie, from Walmart and P&G, that has a great time with CG effects and the possibilities of new technology. The family dynamics are familiar and knowing, as well. On the DVD, there are tons of extras -- a lot of them showing the cast having a great time on set. "Beyond the Jensen Project" offers "Meet the Stars," with actors Kellie Martin, Brady Smith, LeVar Burton, Justin Kelly, Alyssa Diaz, David Andrews and Patricia Richardson. They also didn't forget the "Just for Laughs" reel -- full of family-friendly goofiness. Also fun is "In Studio with Randy Jackson." The "American Idol" judge produced the soundtrack, which includes music from "Idol" alum Jordin Sparks and others. I'm giving away 2 copies of "The Jensen Project" DVD and CD combo (List price: $15.99). Good luck, and I'll announce the winners on Friday, August 6! Despite the chilly weather this summer, the sun is definitely peeking through the often cloudy Los Angeles skies and can wreak a little havoc on the skin. Moms, who spend lots of time shuttling the little ones to and from the park, the beach and to various outdoor play dates, need to keep that skin protected. That's why I wanted to talk to Annet King, Director of Global Education at The International Dermal Institute and Dermalogica, about keeping summer skin healthy. That, and what to do if you've already spent a few too many minutes outside and have the red cheeks to show for it. I've written about Dermalogica here and am very impressed with their products and services. Like Annet says, it's not about how pretty the packaging is, it's about treating your skin well. A couple of weeks ago, I also attended the unveiling of Dermalogica's new UltraCalming line at their Santa Monica location on Montana Avenue. For people with sensitized skin -- meaning skin that's prone to redness, burning, stinging and itching -- this is a gentle alternative. I was able to try out the products via a complimentary treatment kit, and they are indeed gentle. You don't feel as if you've scrubbed off the top five layers of epidermis just by cleaning your face. What I especially like is the Ultracalming Mist, a spray bottle you can throw in your purse and spritz on to hydrate and calm any facial redness. Definitely a plus for this mom! 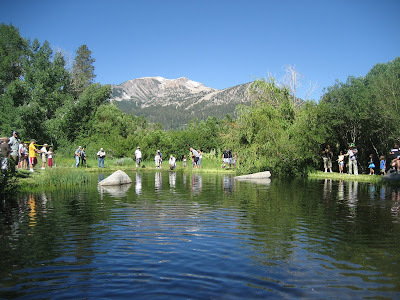 The 23rd annual Children's Fishing Festival at Snowcreek Resort in Mammoth Lakes. 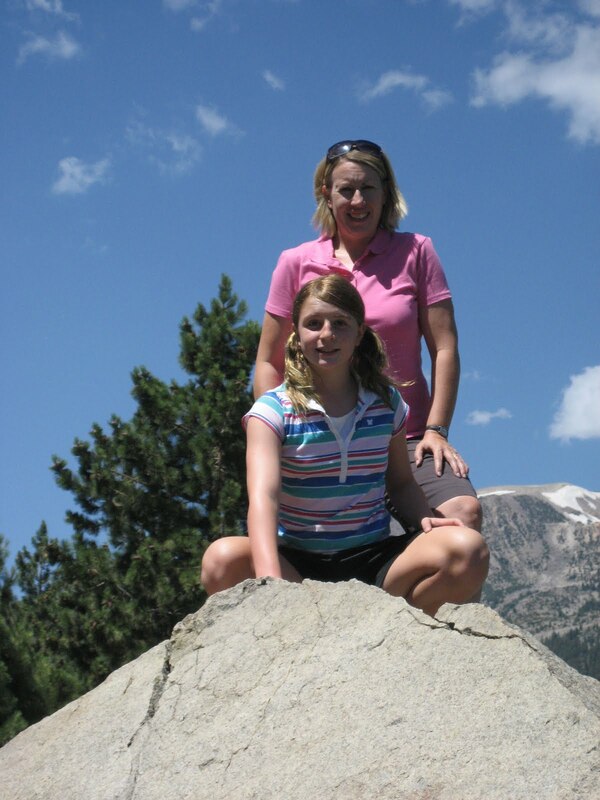 We’ve always thought of ourselves as a beach family, gearing holidays toward sand and surf, but when Snowcreek Resort in Mammoth Lakes offered me two nights at one of their accommodations, my husband and I thought, "The mountains? Why not?" Our kids (two girls, ages 7 and 11) were over the moon, dreaming of all the snowy pleasures denied them by the limitation of temperate Los Angeles weather and a lack of parents willing to drive up to Big Bear in January. Crestfallen faces greeted me when I told them that there would be no snow. "What are we going to do then?" they asked. Turns out the Mammoth Lakes region caters to the summer traveler of any age to such a degree that there is no room for boredom. Or for missing the snow. Once we got past the spectacular scenery of the Sierras (OK, that never happened -- you never get past that. Unless you cannot be seduced by 13,000-foot peaks), we settled into one of Snowcreek’s Lodges (pictured right), a three-bedroom, 3.5 bath townhouse kitted out with state-of-the-art kitchen, huge TVs, lovely views of Mammoth Mountain and gorgeous landscaping colored with wildflowers and untamed grasses. Much, much nicer than our own home, we all agreed, especially since the girls each had a room with a TV in it -- verboten at home. In the garage we found some bikes and took an exploratory ride around town, which is peppered with friendly folks and their friendly dogs, which thrilled my girls as they are avowed dog lovers without, alas, their own dog. 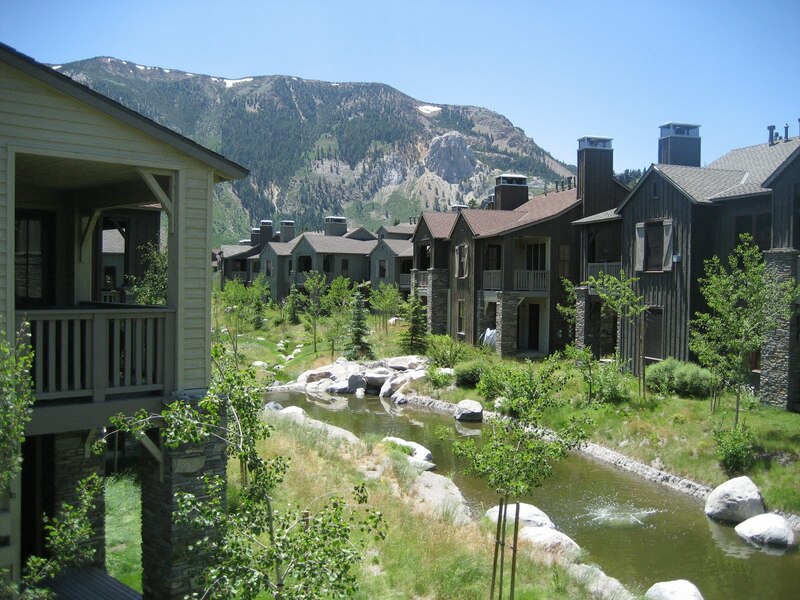 The Snowcreek property also has a gym, restaurant and indoor and outdoor pools that we had access to, as well as an 18-hole golf course and driving range. But we left that to the golfers and splashed around the huge outdoor pool. 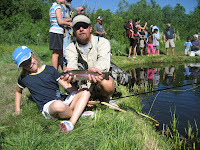 We had a big day on Saturday, July 24 -- the Children’s Fishing Festival on the Snowcreek grounds. The ponds were stocked with big trout, while state wildlife department staff, professional fisherman and enthusiasts spent the morning helping the hundreds of kids (and their parents) bait hooks, cast and reel ‘em in. My kids had never fished before, and my 11-year-old was driven to tears by the sight of trout thrashing on the end of the lines, fighting for their lives. But even she was brought round by Rick, a fly-fishing enthusiast who showed her how to catch and release, as well as the process of fishing. 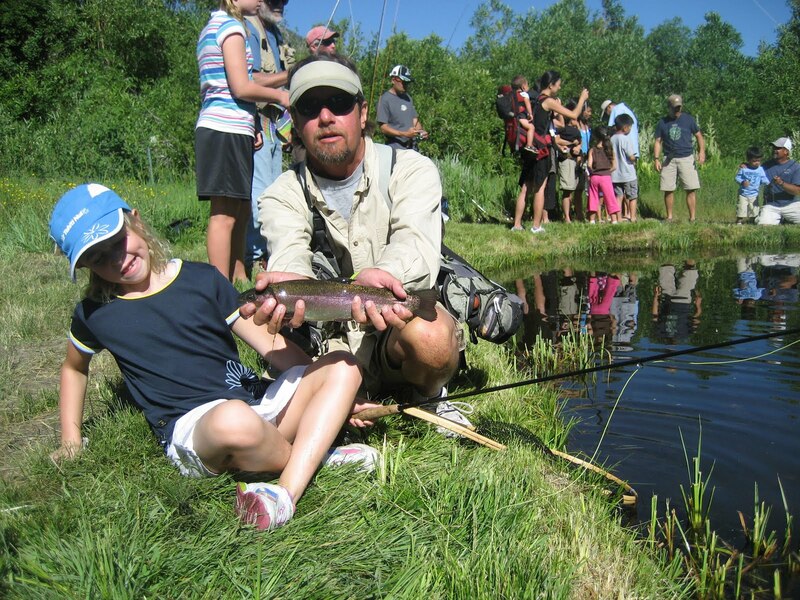 Each child caught and released about a dozen fish (Did I say that they stocked those ponds? To the gills. Sorry, couldn't resist), then we had a quick lunch at Publik Square, a sandwich place on Old Mammoth Road with yummy, healthy fare. The guy making your sarnie, Ryan Farnes, owns the shop and will also make you the best snowboard you can find in town. But that’s the kind of place Mammoth is -- we only saw three chain restaurants in town. Bike riding is a very popular sport in Mammoth, as is hiking. The town and neighboring mountains are strung with biking and hiking trails geared for all levels. But for a greater challenge, you can access bike and hike trails — beginner through double black diamond (and I can personally vouch that the trail called Kamikaze is freakin' awesome) — from the top of Mammoth Mountain by taking the gondola from the Mammoth Adventure Center to the 11,000-plus foot summit. And the views! You can see Yosemite peaks from up there. Heck, you can see heaven from up there! Even in the middle of July -- snow! The girls were too thrilled to even remind me that I said there would be no snow. They spent almost two hours throwing snowballs at each other and rolling around in it. And that’s what made us into mountain people. The truth is, there is a lot to do in the Mammoth Lakes area in the summer, and the town is geared to help the novice do it -- from fishing to biking to horseback riding to hiking to kayaking, local sports outfitters have affordable gear packages for rent. It’s their business to make you want to come back. And I would drive 5 hours just to eat at Petra’s Bistro again. In a town full of casual dining, Petra’s serves inventive dishes with the best local ingredients in a relaxed atmosphere. The service was attentive and educated, the wine list had depth (they serve many of the best wines by the glass), the food terrific (the chef could work in any L.A. kitchen) and best of all, they welcomed the kids. My 7-year-old had creme brulee for the first time there -- and judging by the way she wolfed it down, it won't be the last time. We were sad to leave Snowcreek on Sunday, since it is nicer than our house, but we compensated by an easy hike to Devil’s Postpile National Monument and Rainbow Falls, both stunning natural rock formations a shuttle bus ride away from the Adventure Center. 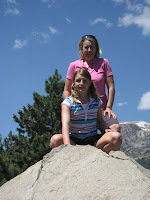 We promised to come back in the winter for the skiing, but knew that the summer in Mammoth may be better. No frostbite. When Carole Horst isn't admiring the view from Mammoth Lakes Resort with her husband and two daughters, she is covering the entertainment world as associate editor at Variety. Jessica, our Head Above Water instructor, teaches CC to float on her back like a pancake. What with the beach practically in our back yard and pools open year-round, it made sense that CC learn to swim -- and early. 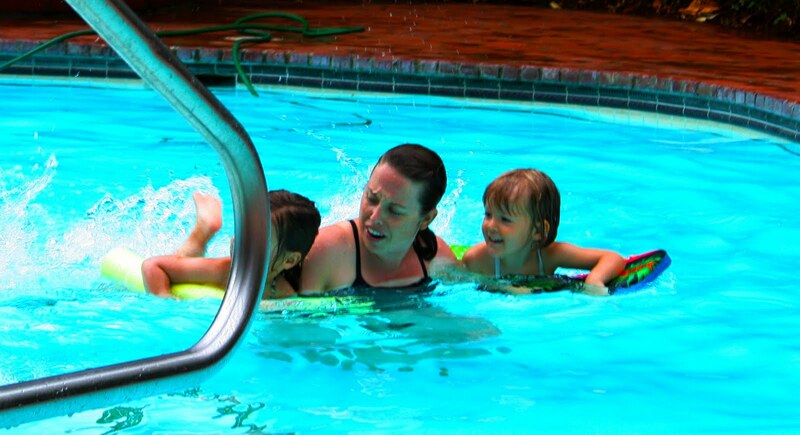 That's why Ian and I teamed up with another mom and dad to have a swim instructor from Head Above Water Swim School in Beverly Hills come to our pool to teach our preschooler daughters the basics about staying afloat. Our instructor, Jessica, was extremely patient -- more so than we parents would have been -- and taught the girls positive, age-appropriate techniques for getting comfortable in the pool. That meant incorporating fun games into each lesson (monkey hands! going on safari! bubble toes! ), which kept the little ones engaged. They learned how to climb out of the pool, blow bubbles under water and kick their legs to move forward. It was great to see. Not only that, but the best part was that she came to us. Ensuring that CC is comfortable in the water is key, but even more important is teaching her to be safe. We had a scare just before one lesson, in which she jumped into the pool by herself. There were four adults standing there, including myself, and when I thought she would just bob back up like a cork, she instead was treading water just below the surface. I immediately leaped in and pulled her out. Ian and I comforted her and told her she always needed to wait for one of us to be in the pool with her. At the same time, I didn't want her to be permanently freaked out by the water, so we continued the lesson as if Ian and I hadn't just had a collective heart attack. After a couple of minutes, CC jumped into the pool with her instructor and fellow pint-sized swim student and splashed and played and learned -- a testament to her eagerness and enthusiasm. Click here for the American Red Cross Summer Water Safety Guide, which emphasizes that parents/adults should always stay within arm's reach of young children while in or near the water. If roving reporter "Sid the Science Kid," animated star of the PBS Kids series for preschoolers, has made anything famous, it's his trusty orange-and-blue microphone. 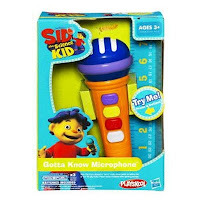 Offering applause and laughter at the touch of a button, this kiddie mic is a hit on Sid's pixelated playground. 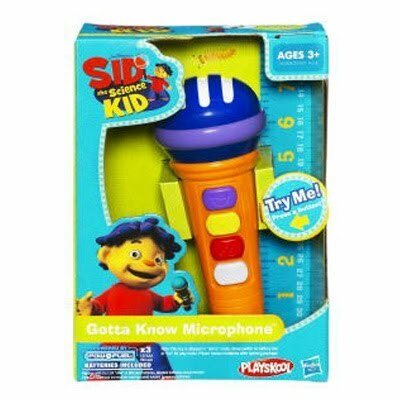 So when The Jim Henson Company and Hasbro unveiled the "Sid the Science Kid" Gotta Know Microphone (MSRP $14.99; ages 3 and up), it seemed like a no-brainer -- albeit one for bite-sized brainiacs. 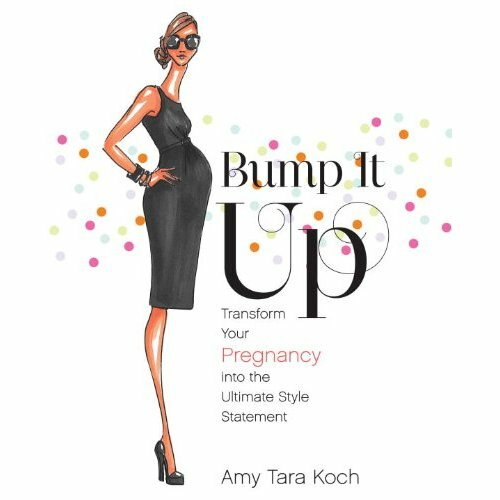 CC was an instant fan of the review copy we received, pushing buttons and unleashing a cute cacophony of clapping, belly laughs, animal sounds and, perhaps the best button of all -- the "Echo Effect" Effect Effect. She also enjoyed singing along to the "Sid" theme song, as you can see in the above video. What might take some getting used to, especially for little ones, are the buttons themselves. You have to hold each one down the entire time you expect to hear the sound -- as opposed to, say, pushing it once and letting the sounds play out on their own. If you lift your finger off of the button, the sound will just stop, which left CC a little perplexed at first. The microphone is great, though, for when kiddos want to put on a show -- something this parent is always ready to applaud, no button-pushing necessary. 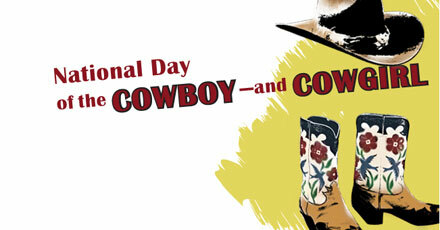 Grab those pint-sized boots and hats and round up the little ones for National Day of the Cowboy and Cowgirl at the Autry Museum of the American West in Griffith Park. On Saturday, July 24, the museum will pay tribute to the American Cowboy -- and Cowgirl -- by hosting a bevy of buckaroo-friendly activities from 11 a.m.-5 p.m. Upscale bowling joint 300 Pasadena is offering free Kids Club Cards until Sept. 7. That means kids get one free game and shoe rental Sunday-Friday before 4 p.m.
Children must be 12 years or younger, and the card can be used once a day through Labor Day. We haven't visited yet, but this looks like a great summertime activity and a very cool place for adults to hang out on their own. Ubisoft's "Racquet Sports" for the Wii offers exotic match locales. Last weekend, Ian and I played beach tennis in Bali, badminton on safari and squash in Hawaii. OK, so we had a little help from a review copy of Ubisoft's "Racquet Sports" for the Wii. It was still fun and a real thrill for the imagination. In fact, we even got to try our hand -- literally -- at playing the game sans controllers, thanks to a USB camera that comes with select editions of the game. The camera plugs into the Wii console and sits on your TV. "Racquet Sports," like most Wii offerings, is family-friendly and easy on the eyes. While players get a small workout lobbing, slicing and power serving, fun graphics also help them imagine they're playing on a Pacific island or inside a Manhattan loft. The safari version could even be mistaken for "Survivor: Badminton," without the need to eat gross bugs or get dirty. CC is totally fascinated, but she'll need a year or two to get the hang of it -- although Ian and I needed a few tries to get our hands to sync up with the racquets. Can't imagine how insane we looked while flailing at the screen -- but it was so fun. I'm giving away 1 copy of Ubisoft's "Racquet Sports" ($29.99) for the Wii (without the camera included). 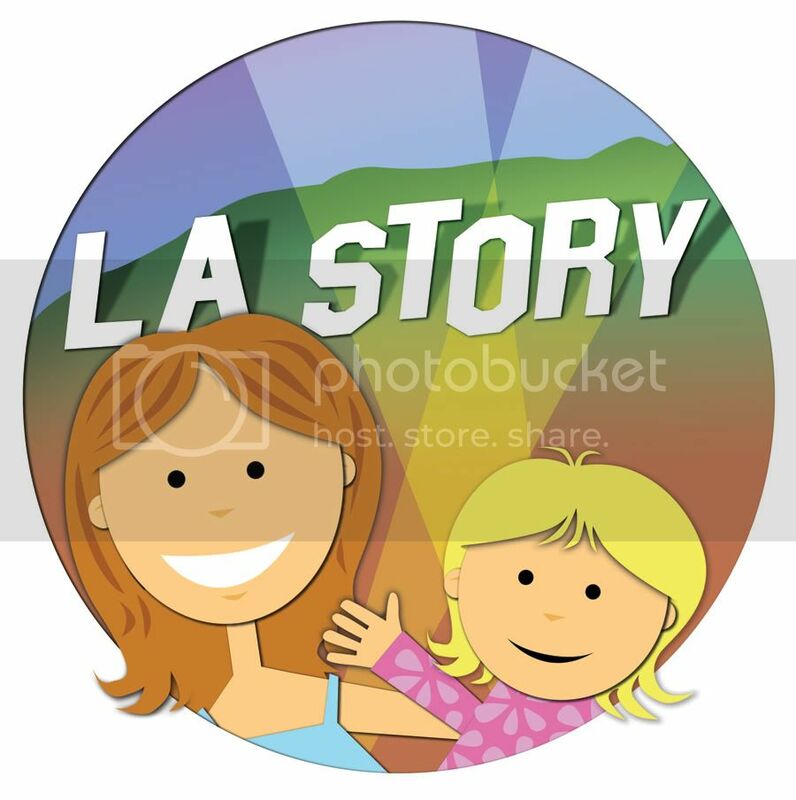 To get an extra entry, become a fan ("Like") L.A. Story on Facebook. Be sure to leave me a second comment, telling me you did that. Good luck, and I'll announce the winner on Friday, July 30! UPDATE, JULY 30: Congrats to Jon Weisman, who won the Ubisoft "Racquet Sports" game! 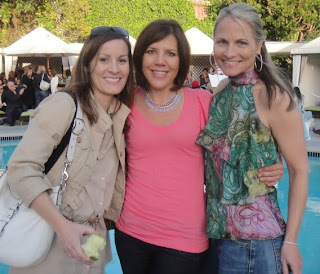 Here I am, left, hanging with Savvy Sassy Moms' Andrea Fellman and The Go-To Mom's Kimberley Clayton Blaine at the "Bump It Up" book party at the W.
In addition to knowing a Manolo from a Jimmy Choo, fashion writers really know how to throw a book party. And that goes for preggo-fashion writers as well. 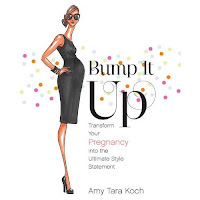 Amy Tara Koch has written a helpful book for pregnant women, "Bump It Up: Transform Your Pregnancy into the Ultimate Style Statement," which lets moms-to-be know they don't have to leave fashion behind once the beloved baby bump arrives. CC and I joined the book party at the W back in May and met up with a few fellow mom bloggers. It was great seeing Andrea from Savvy Sassy Moms and Kimberley from The Go-To Mom. Also in attendance was trend extraordinaire Jane Buckingham ("The Modern Girl's Guide to Motherhood"), who coincidentally had a column at the New York Times Syndicate that I edited back in the day. It was a gorgeous evening spent poolside with fun friends, delicious Sprinkles cupcakes and great reading for moms and moms-to-be. Can't forget about the mom-friendly goodie bag. 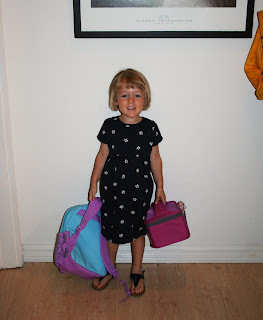 That, and my dancing preschooler -- see video below. CC dances to her own music on an outdoor stage at the Hammer Museum. Bells tolled around every corner on Saturday at the Hammer Museum in Westwood, as composer Chris Kallmyer's sound installation project took harmonious shape. CC, Ian and I each donned a small bell around our necks and added our own soundtrack to the museum's various galleries. Not only that, but CC showed off her bell-inspired moves on an outdoor stage in the museum's courtyard. The exhibit also featured animatronic Santa bells in the coatroom, which CC loved, and an African bell ensemble later in the day. We arrived early, so there wasn't quite a symphony of sound while we were there, but the music we made was still lovely. While this installation was part of the Machine Project Artist-in-Residence (A.I.R.) program, the museum also offers Hammer Kids, which includes various art-, film- and music-related programming for the little ones. This is a tough post to write, which is probably why I've put off writing it for so long. In early July, Los Angeles Moms Blog (and all of the sister blogs under the Silicon Valley Moms Group domain) posted its final entry. Due to various reasons listed in the official press release below, the founders decided to close up shop on a network that included 400 contributors from 13 metropolitan U.S. and Canadian cities. 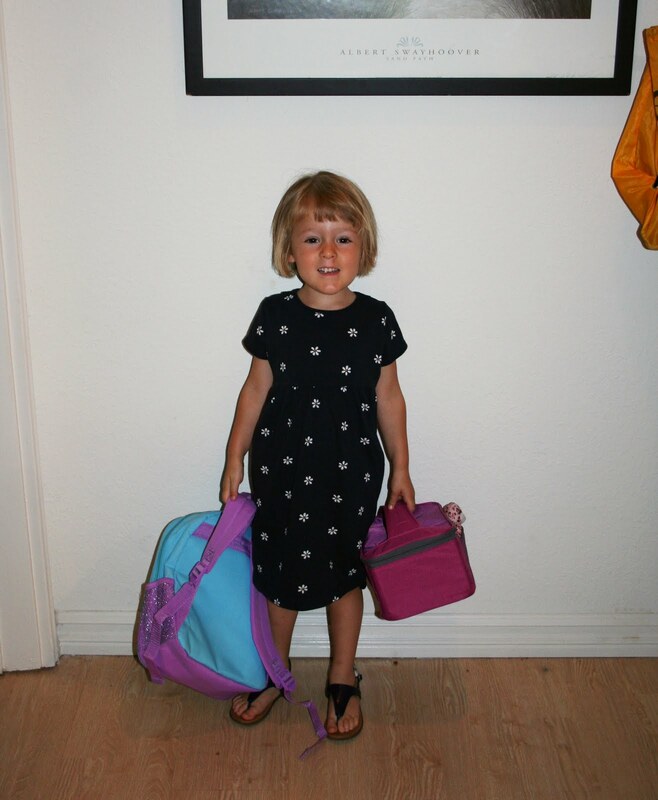 I started writing for LA Moms Blog in January 2009, and it has been a truly amazing experience. I've met so many talented, caring and creative moms, who are always available to help out with a project or lend a hand of support. They're inspiring, and I always looked forward to seeing them at family-friendly events around the city and reading their bravely honest posts. I really want to stay in touch, and I hope that something just as bonding will spring up in the place of this tight community of moms. Thank you to Jill, Beth, Tekla and Linsey for creating this wonderful world of moms, and good luck with any future projects. You should be really proud of what you created and how much you galvanized women and gave them a strong voice in so many cities. So while I will say goodbye to Los Angeles Moms Blog, it's definitely not goodbye to all the moms. I still look forward to seeing you and your kids at so many fun events around the city. Some good news is that the site is still live, and all of our posts will continue to be up for the foreseeable future. 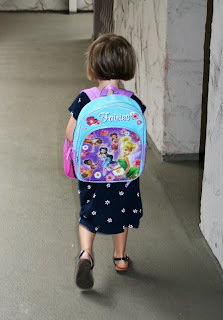 Click here to read my entries that include everything from helicopter parenting to preschool panic. "Over the past nine months we have been analyzing the most effective way to rationalize this business. We have concluded that, considering the needs of our 400-strong writer group and those of our customers and advertisers, the business is not sustainable without additional financial support," stated Jill Asher, a co-founder of SV Moms Group. "It is anticipated that it will take approximately three months to complete the process of closure," stated Ms. Asher. Approximately 22,000 blog posts will remain public and available for the foreseeable future. "We recognize these are very difficult decisions affecting our writers, their families and the blogging community as a whole," continued Ms. Asher. "We expect this elite community of bloggers to continue to thrive organically." SV Moms Group announcing that the brand will be wound down does not exclude the potential for an investor to purchase the company in the short-term. The privately held company is expected halt operations by September. CC gets up close and personal with a "Barnum's FUNundrum" clown. It was definitely a circus at Staples Center last night, as Ringling Bros. and Barnum & Bailey's "Barnum's FUNundrum" came to town, welcomed by parents, kids and a throng of animal protesters. Celebrating the 200th anniversary of showman P.T. Barnum's birth, the show offered a major hat tip to circuses of yesteryear. Bearded lady? Check. Wild Man from Borneo? Check. Half-man Half-woman? He/She was all there last night. This was all in good fun, of course, with tongue planted firmly in cheek. CC got to check out her fair share of performers, who like many of the acts, were also accompanied by large digital screens that provided both atmosphere and a tribute to the old-fashioned newspaper announcements featuring "death-defying acts" and "ferocious" animals. In addition to aerialists who swung from ribbons and rings, joined by the digital screens that offered images including underwater scenes, there were also tight-rope walkers, trampoline artists whose costumes mimicked splattering splotches of paint, contortionists (3 women in one tiny box!) and of course the clowns. CC even had a close encounter of the clown kind during the pre-show, which allowed circus-goers to walk on the floor of Staples Center to get a taste of what was to come. And then, of course, there were the animals. Now, I have mixed feelings about this. After watching documentary “One Lucky Elephant” at the LA Film Festival last month, I became more aware of how animals are treated and how, despite our best intentions, we have them living essentially unnatural lives. And that's not to say anything about mistreatment -- which should never be tolerated under any circumstances. Sure, the animals' performances are entertaining in addition to being a long-standing tradition, but is this something that’s ultimately going out of style just like the aforementioned bearded lady? CC was still awed, however, by the performing elephants, the gorgeous tigers (her favorite of the show) and the miniature horses that pranced in circles alongside llamas and a tiny dog. There was also a “little” 2-ton surprise during the show that was an adorable addition. Note: Press tickets were provided. Bells are ringing at The Hammer Museum (image courtesy of The Hammer Museum). This sounds like a ringer of an installation -- one that's free to participants as well. According to a press release, on July 17: "The Hammer Museum and Machine Project invite the public to participate in a day-long sound installation by composer Chris Kallmyer. 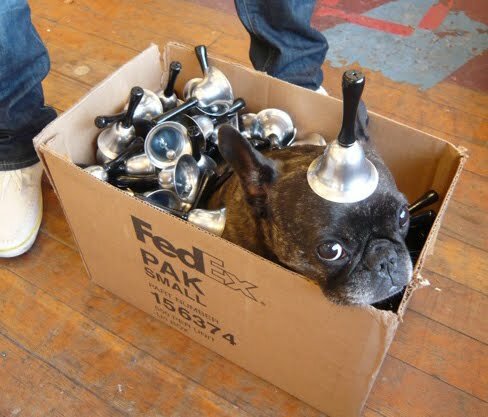 All visitors will be issued a small bell, which they can wear as they move through the galleries, courtyard, lobby, and other public spaces. Admission to the museum will be free of charge to all participants. "Additional bell related sound pieces will take place throughout the day, including circulating ice cream carts, animatronic Santa bells in the museum's coatroom, and an African bell ensemble." Machine Project is a nonprofit community space in Echo Park that investigates art, technology, science, music and other subjects. They produce events, workshops and installations, and are current artists in residence at The Hammer Museum. 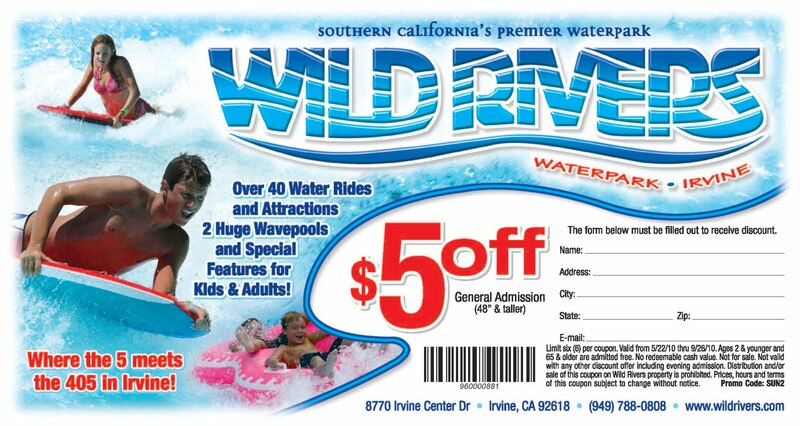 Wild Rivers in Irvine and Raging Waters in San Dimas are adding a wallet-friendly splash to summer. Click here to access a coupon for $5 off a general admission ticket to Wild Rivers. Or use the promo code SUN2 when purchasing tickets online. 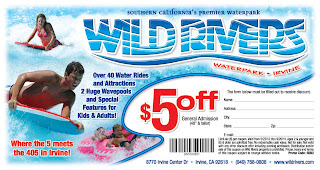 Click here for the Raging Waters coupon that offers $7 off a general admission online purchase or a $5 off purchase at the park. The promo code for online purchase is 1067. Beginning July 19, the Los Angeles Dodgers will make all Field and Loge level seating only $5 for kids ages 14 and under, with the purchase of an adult ticket. The special ticket promotion is available for every remaining home game, based on availability, with a maximum of two discounted tickets per purchase. The tickets are available on the day of game only, starting 2 hours prior to game time. Click here for more details. If you missed classic Disney movies on the big screen, here's your chance to check some out. The official Disney fan club D23 and ArcLight Cinemas will present Disney movies at 3 locations throughout August. Beginning Aug. 2, ArcLight Cinemas will host selected films on Monday at ArcLight Hollywood, Tuesday at ArcLight Sherman Oaks and Wednesday at ArcLight Pasadena. 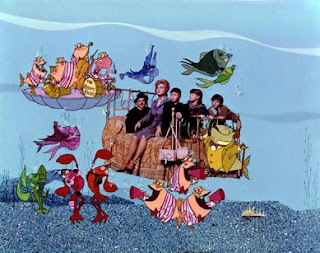 Films include "Bedknobs and Broomsticks," "Pete's Dragon," "The Jungle Book" and others. Each theater hosts a different lineup. Moviegoers can purchase tickets at www.ArcLightCinemas.com. Prices are $12.50 or $13.50 depending on location. As an added bonus, at each screening visitors will be treated to Disney trivia and prizes courtesy of D23. After reading not-so-positive reviews of "Despicable Me" in the LA Times and New York Times, I wasn't particularly excited to take CC to see this animated movie, especially given the grumpy title. But after weeks of seeing her face light up at every billboard -- "The yellow things!" -- and hearing her pronounce "Despicable" perfectly, was there really any doubt that Ian and I'd be able to resist the supervillain Gru (voiced by the awesome Steve Carell) and his little yellow minions? Although I thought the movie got off to an awkward start -- Gru is not so much evil, but rather desperate and beaten-down, courtesy of mommy issues -- it really gains speed once Gru's multitude of little yellow (different, better?) workers enter the picture with their chirps and burbles. Gru is out to get his evil mojo back after rival Vector (Jason Segel) steals a pyramid, making headlines. (Again, this seemed a bit awkward and random. Why a pyramid?) Gru sets out for an even bigger prize -- the moon. Enter a trio of orphaned girls, and priorities start to shift for the single-minded Gru. While he wants an entry into Vector's super mod lair, via cookies the girls are selling, Margo (Miranda Cosgrove), Edith (Dana Gaier) and Agnes (Elsie Fisher) are just looking for a dad -- no matter how weird he is. Needless to say, hearts melt -- mine included, particularly during a bedtime-story scene -- and the movie makes up for any initial missteps. She even asked me to put a single ponytail in her hair, on top of her head a la the youngest of the girls, Agnes. That and she wants a pink fluffy unicorn. A big one. CC and I definitely felt the love at The Grove last Friday, when members of the Las Vegas cast of "The Lion King" musical took the stage alongside the FAME Church Choir of Los Angeles. After making a lion mask of her own (left) and snacking on a PB&J on the nearby lawn, CC was more than ready to catch some summertime tunes. Performers Buyi Zama (who plays Rafiki), Kissy Simmons (Nala) and Jelani Remy (Simba) sang "Circle of Life," "Shadowland," "Endless Night" and "Can You Feel the Love Tonight." They weren't in costume, but I can imagine how crazy that could have been to organize for a couple of 20-minute performances. In Los Angeles. In July. I'll let the video speak (er, sing) for itself. But in the meantime, now CC and I want to go to Vegas. Like, stat. Kellie Martin Talks 'The Jensen Project' and Motherhood in L.A. 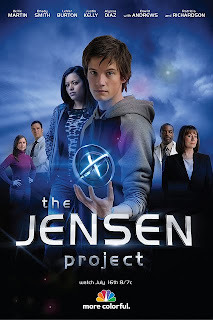 Heading over to the Sunset Marquis in West Hollywood last week to catch a sneak peek of "The Jensen Project," airing on NBC Friday, July 16, I had no idea that I'd also get to meet its star, Kellie Martin. Kellie was on hand to tell fellow bloggers (including Simply Cathi) about her latest project, which is being presented by Walmart and P&G. 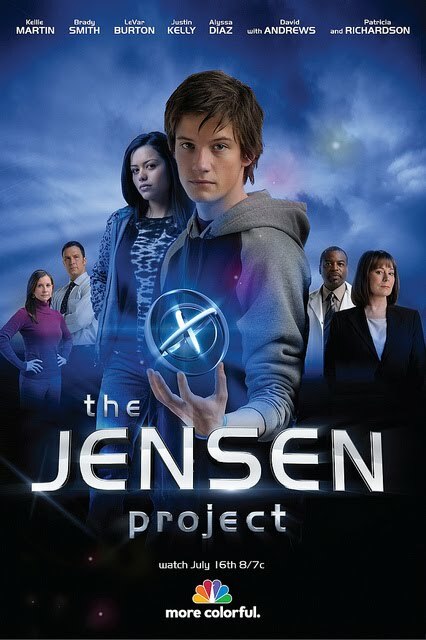 "The Jensen Project" centers on a family of geniuses who are reintroduced to a secret high IQ community that conducts underground research to solve major world problems. Kellie plays mom Claire, who seems less than thrilled with her life out of the tech realm. Alongside her husband (played by Brady Smith, husband of Tiffani Thiessen) and son (Justin Kelly), she returns to the project when a potentially dangerous technology falls into the wrong hands. The show is fun and very tech-friendly, with lots of great CG effects. It's also great to see that family programming is back on the radar. Not only did we chat about "The Jensen Project" over cappuccinos, we also talked about Kellie's 3-year-old daughter, Maggie, her new site (www.kelliemartin.com) and life as a mom in L.A. She also offered great tips on where to take the kids. 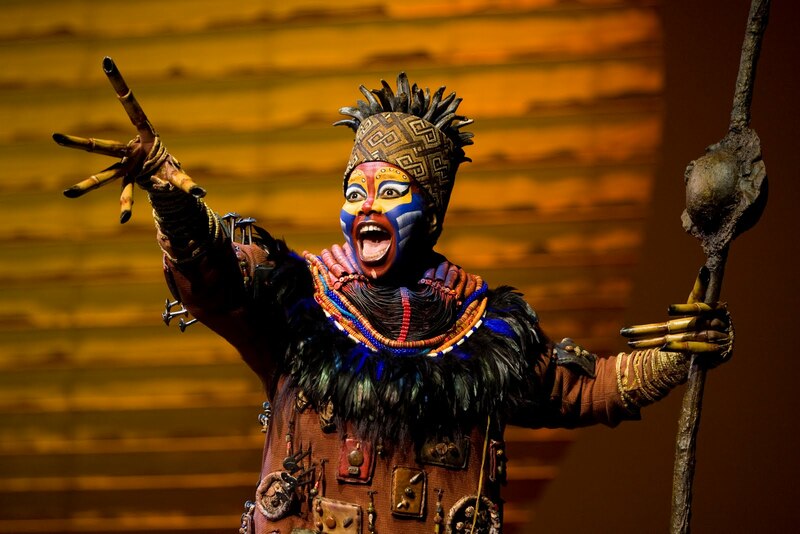 Buyi Zama as "Rafiki" in the opening number of "The Circle of Life"
from THE LION KING Las Vegas. ©2009, Disney. Photo Credit: Joan Marcus. 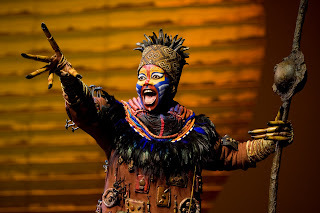 Cast members from Disney's production of "The Lion King" at Mandalay Bay in Las Vegas will be giving free performances at The Grove tomorrow, July 9, at 5 p.m. and 7 p.m. Performers who have appeared on Broadway as well as traveling productions of the popular Julie Taymor-directed musical based on the equally popular animated film will perform songs including "Circle of Life," "Shadowland," "Can You Feel the Love Tonight" and "Endless Night," alongside the FAME Church Choir of Los Angeles. The Grove is celebrating "The Lion King Day," and visitors can also create their own "Lion King"-themed mask made from recycled materials with Ann Closs-Farley Designs from 3 p.m.-7 p.m.
Click here for more information about the Las Vegas production of "The Lion King." 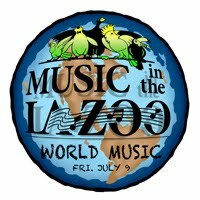 For more animal-themed entertainment, the Los Angeles Zoo is hosting the first of three "Music in the Zoo" evenings tomorrow, July 9, from 6 p.m.-9 p.m.
World Music Night kicks off the series with performers lighting up the night with Middle Eastern, French, Japanese, Mexican, Salsa, Irish and Zimbabwean tunes. Next up is Classic Rock Night on July 23 and Local Scene Night on Aug. 6. CC and I had a great time last year. Check out how much fun my then 2-year-old had getting down to Irish and Polynesian music. Tickets: Members ($12.50 for adults and $7.50 for children ages 6-15); Nonmembers ($16.50 for adults and $10.50 for children ages 6-15.) There is no admission charge for children age 5 and under. 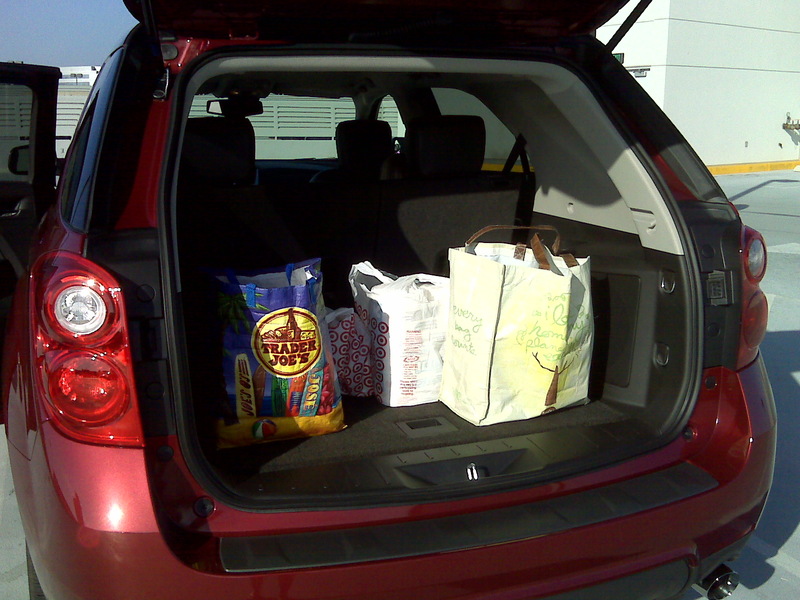 CC explores the 2010 Chevrolet Equinox. What a difference a new car makes! Chevrolet was kind enough to let me test-drive its 2010 Equinox for a week, and I have to say, I'm smitten. Besides that awesome new car smell that isn't lost even on preschoolers -- "I want to sniff the car," CC would say every time we exited the vehicle -- and the approving glances and double-takes I got from fellow drivers, this midsize SUV is packed with bells and whistles and definitely easy on the eyes. The only question I was left with -- in my quest to replace my 8-year-old Chevy coupe -- was: Should I move to the bigger car or stick with what I know? The week in question just happened to coincide with the LA Film Festival, which had a downtown HQ. That meant spending lots of time on the 10, traveling from the West side of Los Angeles down to L.A. Live on an almost daily basis. Having the Equinox on a 6-lane freeway (and that's just one way!) was helpful in many ways. First, I felt tucked in to the car, meaning the driver's side seat was comfortable and protective in all the right places. Also, I had close access to the armrest, steering wheel controls, as well as the OnStar Navigation system (a button on the rear view mirror), the stereo system and the 7-inch touch-screen display (photo below left, courtesy of Chevrolet). And don't forget the Bluetooth hands-free setup for my cell phone. I could answer or decline calls by pushing an image on the screen. The voice on the other end chatted through the stereo speakers, so the reception sounded even better than the phone itself. Not only that, but I also had a great view of the road. No more tinted-window vans blocking my sight line! My favorite feature, however, popped up before I even put my foot on the gas. When I moved the gear shift into reverse, an image from the rear vision camera appeared on the display screen, showing me what was behind me. So cool! I had the ultimate mom gift of eyes in the back of my head. And speaking of mom gifts, looking at CC sitting safely in her car seat with lots of room around her to spare, plus the sheer heft of the Equinox supporting our ride, really put my mind at ease on the road. That and the standard child security door locks. A definite score for the SUV. The space in the back, as well as the option to fold down the back seat (not a possibility for us, since we need the car seat), was a real plus. CC liked to use this as a little play space once the car was parked, and I could fit bags and bags of groceries to boot. If there was anything that gave me pause about the Cardinal Red Metallic 2010 Equinox AWD 2LT ($27,370 standard/$33,410 as driven) was its sheer size. Although it's smaller than your typical SUV (its key competitors are the Honda CR-V, Toyota RAV-4 and the Ford Escape), I still felt a little guilty driving alone, as if I needed more cargo to justify not driving a smaller sedan. The fuel economy estimates for the Equinox are 17 mpg/24 mpg for city and highway driving, respectively. In my one week, I drove approximately 300 miles and spent $51.95 ($3.019/gallon) filling up the 18 gallon tank. That seems pretty reasonable for a larger vehicle -- I was expecting to pay a lot more. While I'm still considering my options, I'd definitely recommend the Equinox as a luxurious yet practical car for parents with kids and those with lots of gear. CC, in fact, wants it back, and I don't blame her. "Where's the red car, Mommy?" she still asks me as we make our way to my journeyman auto. That's when I heave an audible sigh and tell her, "Mommy had to give it back." CC gets help re-using materials with Trash for Teaching. A few weeks ago, my friend Yvonne from Yvonne in LA hosted a party to raise awareness about Trash for Teaching, an LA-based organization that reuses materials for kidtastic fun. What might otherwise end up as manufacturing waste, including pen casings, plastic tubs, shiny paper and cardboard, Trash for Teaching uses as raw materials to fuel pint-sized imaginations. Kelly Crispin, a representative from the nonprofit, came to Yvonne's house with cute paper bags filled with lots of fun items to cut, glue and piece together, and the kids loved it. Although CC and I arrived a little late -- darn you, LA traffic -- my little artist jumped right in and started crafting. The other kids, who ranged in age from 3-10, created everything from telescopes to bumble bees to faux electronics. It's amazing to see what children can make with safe, nontraditional objects. The added bonus is that it's great for the environment as well. 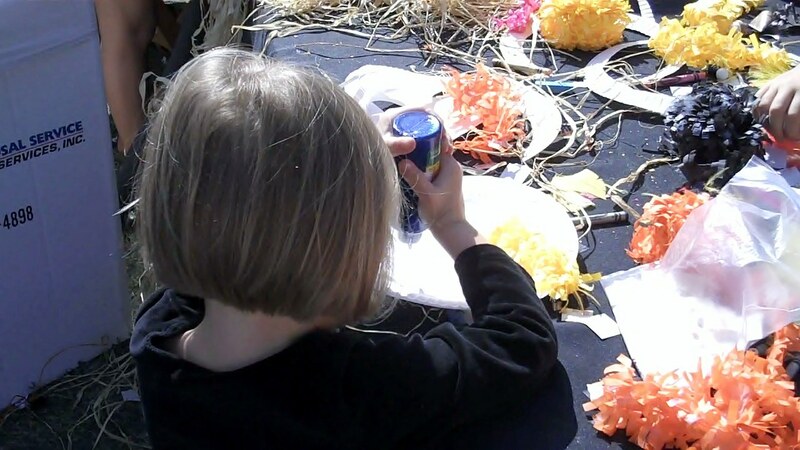 Trash for Teaching offers lots of ways to get creative with kids. Parents can host T4T Birthday Parties, which include materials, goodie bags and supplies. You can even customize a theme, such as Eco-Super Hero or Fashion Show. You can also buy a membership, which offers access to T4T materials that have been donated by local businesses -- stuff like giant tubes, fabric, paper, tile, yarn and wood tiles. Definitely something to think about for that next party. 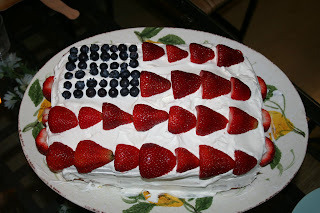 In honor of July 4 yesterday, I decided to bake the festive Flag Cake. Of course, I decided this on a whim, while at Target buying totally different items. I had a general idea of what the ingredients were, but I figured the recipe would be floating around somewhere. I mean, it was the Fourth of July after all. Wouldn't there be displays with all the items right there in one presumptuous, er, convenient place? Cut to me 10 minutes later with my head stuck in one of the freezer door compartments tossing around every Cool Whip tub, searching in vain for the simple recipe. I must have looked insane. I was desperate. CC had caught a cold on Friday and had been home-bound all weekend, so I needed something to perk up our little holiday now that fireworks were out of the question. Well, I did the best I could, gathering all the ingredients I thought would make a tasty summer cake. When I got home, I announced my plans to Ian and CC. 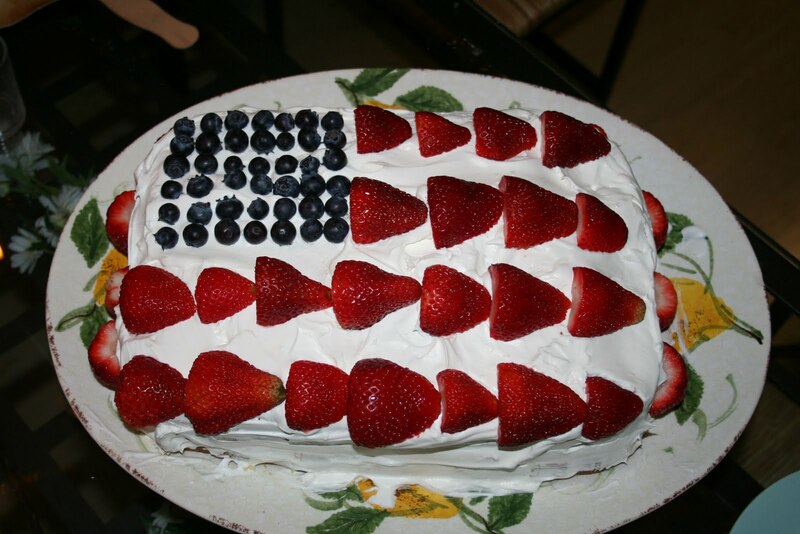 "A flag cake?" Ian asked. "What's in it?" "I'm not totally sure," I answered. That was not the fireworks-filled parade of delight I was expecting, but I guess he had a point. I forged ahead anyway, and truth be told, it was pretty yummy. And easy, too. Hope you and your family have a safe and wonderful holiday! If you still haven't decided what to do or where to go for fireworks tonight, check out suggestions from Franklin Avenue. a performance of "It's a Musical World." When you walk into the Bob Baker Marionette Theater thisclose to downtown Los Angeles, you are walking into a living tradition. It's a place so truly special that you wonder how it actually exists in real life, instead of only in a long-ago fairy tale or in stories told to you by your grandparents or great-grandparents. That's how I felt when I took CC to see "It's a Musical World," the production now on stage as part of Baker's 50th anniversary season. I wondered if CC would really appreciate what she was seeing before her little 3-year-old eyes or if she would remember sharing this moment with her mom and dozens of other children, parents and marionettes. From numbers that include an ice-skating Eskimo, a Snow Queen who dances with beautiful bells -- or is it belles? -- as well as a disco appreciation and a collection of colorful clowns, the absolute breadth of the show and the talent of the puppeteers is astonishing. The performers holding the puppet strings kept the children rapt with attention. And that went for children of all ages, particularly a group of tatted-up twentysomething men who were visiting from the East Coast. In addition to all the toddlers, infants and preschoolers lying along the red carpet that also served as the stage boundary, those young men -- some with ink teardrops falling from one eye -- looked equally dazzled. Performances: Tuesday-Friday 10:30 a.m.; Saturday 2:30 p.m.; Sunday 2:30 p.m.
Click here for special group rates and birthday party rates through September.